In Name That Country game, players learn to identify countries on the map. Spinner and map makes the game fun. Children become good at world geography. 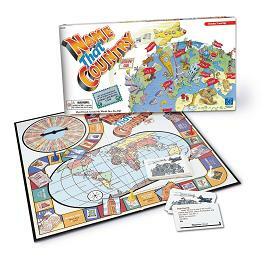 Name that Country Game is a fun family board game that teaches geography and that helps players memorize countries. 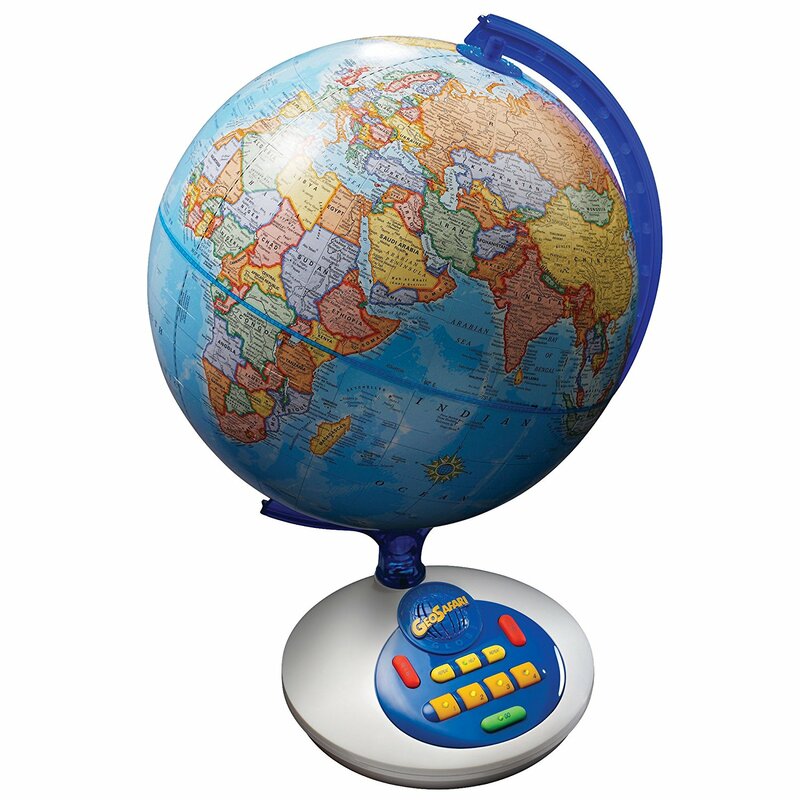 The game is designed for children ages 8 and above but even adults with a limited knowledge of world geography can enjoy it. The game starts at the post office. There players twirl a spinner and select a country out of 60. If a player correctly identify the country’s location on the map, he or she may advance along the path to the finish. Players earn bonus moves (they move two extra spaces) when they land on postcard spaces. When they land on these spaces, they have to read the postcard and pay attention to clues (in the message from the pen pal) and correctly identify the country. The player that finishes first wins the game. What’s fun about this game is the spinner that players twirl at the beginning, the world map where they locate countries and of course the postcards. The game is also easy to play and the rules are not too complicated unlike other board games. The only drawback is that players that are already good at geography could easily get bored. Or they could enjoy beating the other players and showing off their knowledge! The only thing that is certain is that by playing this game, players memorize 60 countries all while having fun. This is a lot less boring than memorizing countries using a crude map of the world, which is what kids are often required to do at school. If the game becomes too easy, you can make it more challenging by adding more countries. For example, you can number more countries on the map using a marker. Then instead of using the spinner, write the number on little pieces of paper that you put in the bag. Instead of twirling the spinner, players randomly pick the little pieces of paper. The game can then have literally hundreds of countries! If after memorizing ALL the countries in the world, the game gets too easy, you can have kids name the country’s capital and not just the country. For example, if they twirl the spinner, and the number corresponds to Italy, they have to name the country’s capital (in this case, Rome). Kids then learn not only the names of the countries, but also the capitals of all the countries. What’s amazing about this game is how school age children can become so knowledgeable in world geographically so quickly and more knowledgeable than most adults!